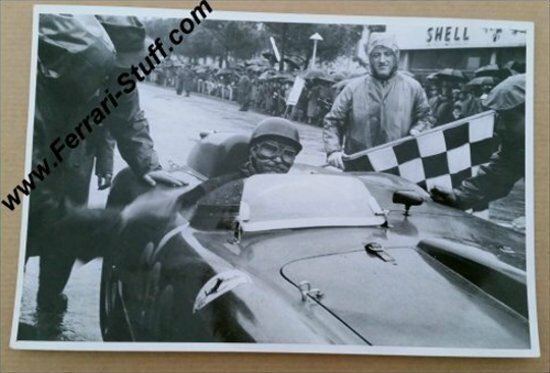 This is rather famous shot of Juan Manuel Fangio just having completed the grueling 1956 edition of the Mille Miglia. It concerns a vintage 1956 print of this image and it was used by a contemporary magazine, given the scribbling on the rear. Fangio drove his Ferrari 290MM 0626 to a 4th place overall. 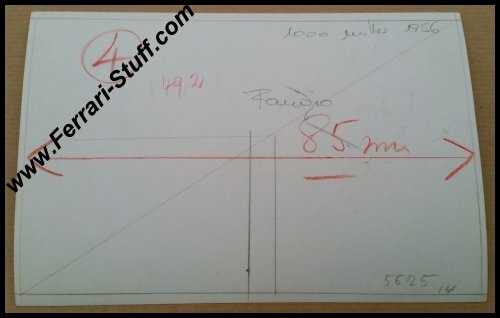 The race was famously won by Eugenio Castellotti, also on 290MM, followed by Peter Collins, also on 290MM, who had photographer Louis Klemantasky on board, followed by Luigi Musso on 860 Monza. Olivier Gendebien brought his 250 GT LWB home in th place, making it effectively a 1-2-3-4-5 for Ferrari! 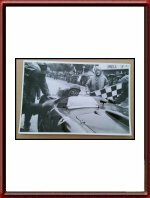 Fangio's car, S/N 0626, was auctioned in December 2015 in New York. 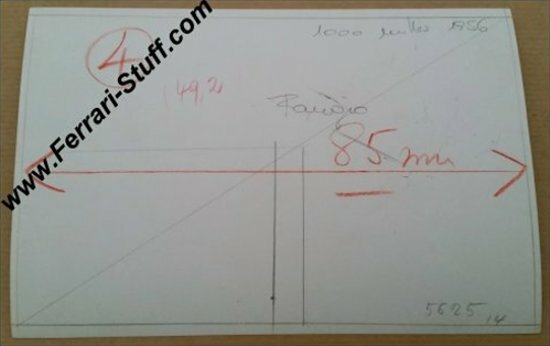 The photo measures some 18 x 12 cm or 9 x 5 inches and carries NO copyright stamps.